Wildlife Week, celebrated the first week of October in India, marked the milestone of 5,000 animals handled by the IFAW-WTI Centre for Wildlife Rehabilitation and Conservation (CWRC). 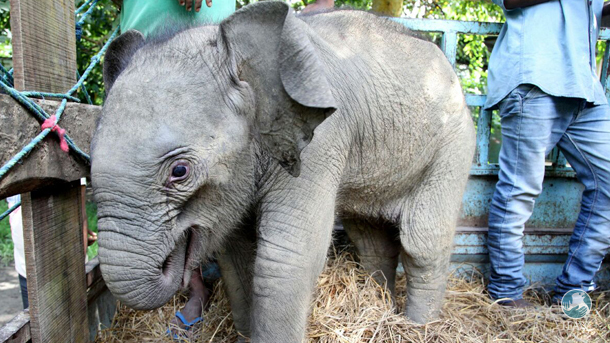 Our jointly run facility in Assam most recently welcomed a three month old elephant calf into its fold. 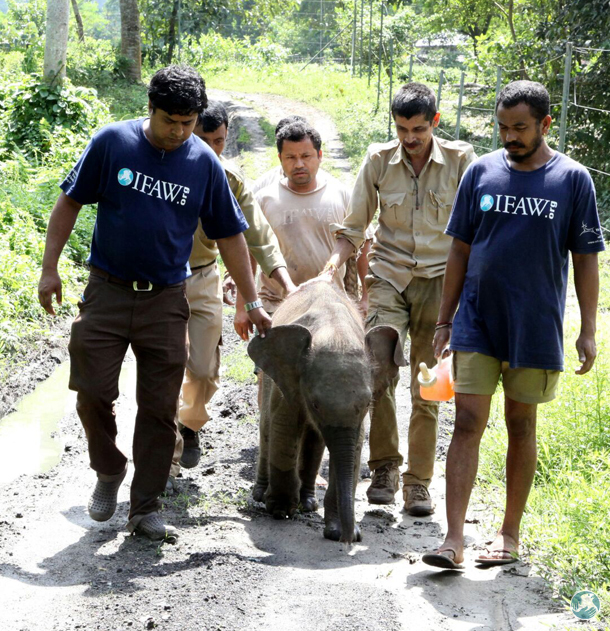 The little female elephant calf was found stuck in a drain in the Misa Tea Estate, Nagaon Wildlife Division and was rescued by frontline forest personnel on 3 October. Field reports indicated that a herd of about 30 elephants passed through the tea estate on the fringes of North Diggoo Reserve Forest the night before, when the female calf got stuck in a drain. Her mother and natal herd tried in vain to extricate her before moving on towards the hills in the north. Frontline personnel from the North Salna Forest Range were able to rescue her the next morning with the aid of some local people. 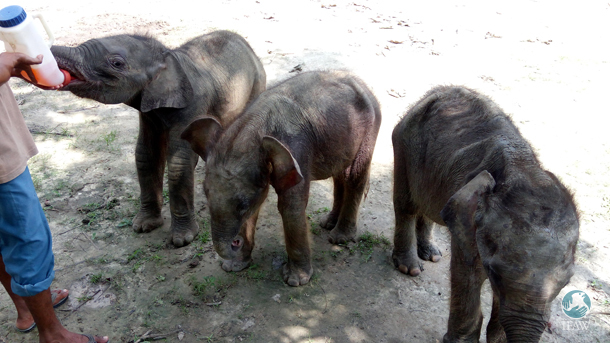 “Our team located the natal herd and made several attempts to effect a reunion, but the calf was not accepted by the herd” said Suvasish Das, Divisional Forest Officer, Nagaon Wildlife Division. She was transferred to the CWRC for long-term care and rehabilitation. CWRC veterinarian Dr Samshul Ali conducted a preliminary examination on the calf when she arrived at the centre. “[She] was mildly dehydrated and had some inflammation of the genital area” he said. “[She] has been housed in the Large Animal Nursery." The calf will remain under close observation until she has been stabilised. As of now, she is responding to oral rehydration and has been introduced to two other calves in the nursery. 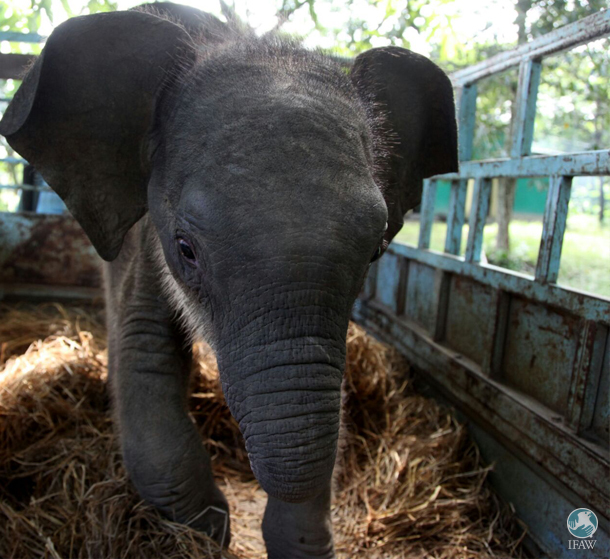 With this arrival, the number of elephant calves under rehabilitation at the CWRC has reached 13. We will keep you updated on the 13 calves who are currently rehabilitating at the CWRC. Stay tuned.